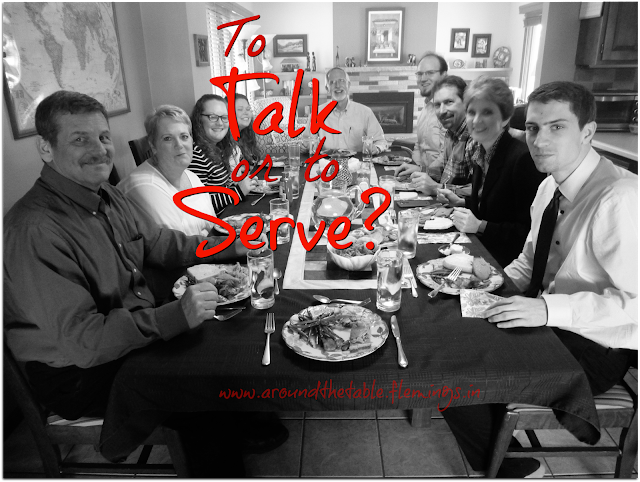 Around the Table Book: To Talk or To Serve? There were at least three conversations going on at all times around my table. My husband, daughter, and I had invited a missionary couple to Japan over for dinner. Along with them were their two sons, four and two years old, her parents, who attend our local church, and a good friend and mentee of mine. Apparently I had succeeded in putting together one of those groups that clicks, where the conversation just rolled along without any help. I contributed nothing, or at least very little. I'll admit that there were times when I wanted to say something or ask a question, because, you know, what I have to say is interesting and maybe even wise (smile), but I just couldn't get it in. As I got up to replenish one of the serving dishes and turn on the coffeemaker, I felt a little frustrated. But then I thought some more. My goal for hospitality is to give comfort and refreshment, physically, emotionally, and spiritually. I want people to leave my house feeling glad they came, to be a bit more relaxed, to have enjoyed themselves, and to want to know God better. To do that, I don't necessarily have to talk, but I do need to serve. Since I didn't have to carry the conversation that night, I was free to serve. I could get up and clear the table and serve the dessert and coffee without really being missed. I don't want to be invisible, but I don't want to be the focus either. When I invite people into my home I want to see what I can do for them, not what they can do for me. Sometimes I need to be reminded of this. Sometimes I need prodding to follow the example of my master and be the servant of all. In other words, I don't entertain guests, I practice hospitality. 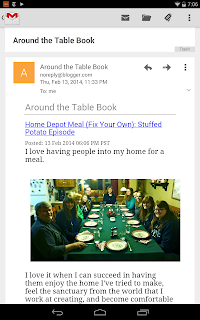 Recently I was "grilled" for another blog. I had fun being interviewed about being a grandma! You know, sometimes I still wonder how I got to this stage of life so quickly! Me? A Grandma? Really?! It comes so much faster than we think. 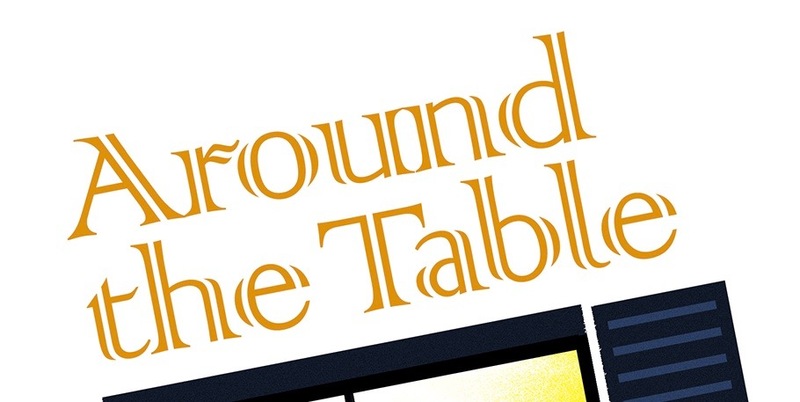 I'm so thankful for the time I spent with my children when they were younger and, yes, you know I'll say it...for the time we spent around the table daily. We have 4 children ranging from 22-31; boy, girl, boy, girl; my plan was to have my children 2-3 years apart but God had other plans. They are 3.5 years, 8 months (one is adopted! ), and 4.5 years. I always say if you add them up and divide, you get my original timetable! We have 4 grandchildren and two on the way. This year we are doubling the number and my oldest son no longer has the corner on the market. Three (soon to be four) live three hours away, one lives in town, and one will be in Germany. The oldest grand is 5, and we’re still filling the basket with grands…great grands will be here before we know it, though! To continue reading this post click here! Great example of true hospitality.